As with almost all atheist babble, this is first-world problems, and by "first-world" I mean the affluent, exactly the people who James warned about in his one epistle. I am sick to death of the thoughts of the contented academic cattle of academia on these topics. I think that you're far more likely to find something important and daring coming out of Biblical studies or theology - where they might engage the economic quality, social justice content of the scriptures. You might get a few lectures at de Botton's atheist Sunday services which, I suspect, are about as durable as Compte's atheist religion with his girlfriend as its substitute deity. I understand there are several kept mostly as quirky, seldom visited museums to his flaky ideas, supported by legacies from dotty atheists of the past. You have only to look to some of the public statements of Pope Francis, including his most recent ones on the G20 summit; or the work of any number of people around the world, work done in the name of religion, done throughout time and space, to pause at the idea that religion is primarily about architecture and falling to your knees and questioning the meaning of life and seeking direction (three things I've never seen anyone do in a church, or worshipped in a church built to inspire that reaction). My primary functions as a pastor were pastoral care, church administration (let's be honest! ), and funerals. Even weddings were practically optional and pretty much up to me to take or leave; but funerals? I did funerals for babies of people who weren't even church members, but how could I refuse? Did the parents fall to their knees or seek direction from me? They questioned the meaning of life in such circumstances, but they didn't ask me for answers. 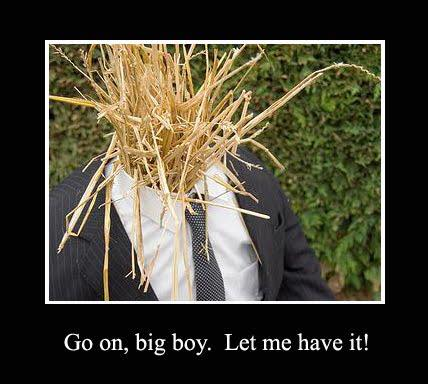 If you're going to set up a straw man, maybe you shouldn't make him so flammable, eh?